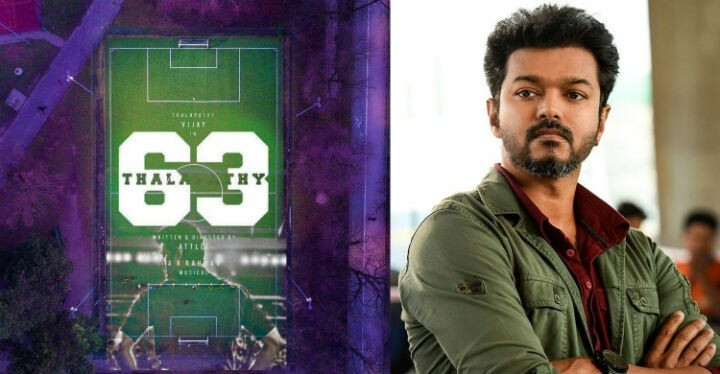 Right from the day it was officially announced that the successfully duo director Atlee and actor Vijay are set to join hands for Thalapathy 63, we have had so many speculations going around about the film in K town including the very recent one that King of Bollywood Shahrukh Khan is set to play a cameo in Vijay’s Thalapathy 63 after the actor visited Atlee’s office in Chennai. Such is the expectation for Thalapathy 63 among the audience and his fans. It is an old news that actor Vijay will be seen as a coach of Tamil Nadu women’s football team in the movie. A set resembling a football stadium was erected at the outer part of Chennai. The shooting of the film is taking place in a full swing on the set erected for the past few days. Now the role of the comedians Yogi Babu and Vivek has been revealed. It is said that the comedy actors will be seen in a supporting role in the film where they will be seen assisting Vijay in his head coach job. So this leaves the comedians in the shoes of assistant coach. The film which is said to be an inspiring sports film will have Mercury fame Indhuja sporting the role of the Tamil Nadu women’s team captain and Reba Monica John as her deputy. Recently director Atlee himself took the responsibility of picking the cast for the women football team and he is said to have finalized the cast. The director is said to wrap up the shoot as soon as possible as the flick will be a Diwali release. In order to give ample amount of space for the post production works to take place the director has decided to wrap up the shoot soon. Actress Nayanthara will be playing the love interest of Vijay in the film and the film also has veteran Bollywood actor Jackie Shroff, Daniel Balaji, Vivek, Yogi Babu, Anandaraj and Kathir. Being touted as a sports film and having so many villains on board has aroused the curiosity of the fans. The music for the film will be composed by the Oscar winner AR Rahman. GK Vishnu will be behind the camera while the trimming work will be taken care by Ruben. After the monster hit of Theri and Mersal the duo has joined hands for the third time. We will have to wait until Diwali to witness what the duo delivers this time.